As I read this article, I realized that it will be a while before I deal with another child going off to college. I am happy about this yet I think back on the past years with no regrets. With your first child, it's so much harder than you think but it gets easier over time, but it's never easy. I shed buckets of tears after realizing what we had just done when we came home after dropping off the first child. I was shocked as the tears just came and came. Those tears were pleas that he would be all right, comfort in knowing that you've done the best you can and just plain old release. It may be one of the few times that I've cried so much and so long. The boy was not as finicky as the girls when it came to dorm rooms. Everyone needed a trunk, combination locks, bed risers and shower caddies. A lot of the items on those dorm room shopping lists are extraneous, (trust me you don't need a sleeping mask). Roommates matter, but sometimes you can't control who you will get. You learn to deal with what you have until next semester. Being an RA is a great way to learn leadership and possibly save on tuition. Worse case, befriend the RA. Care packages are nice but not vital; do what works for you and your family. Is there more care shown than having money in your bank account? But sometimes I sent books or other knick knacks that were well received. The freshman 15 can be real because of 1st yr meal plans and the freedom of being on your own; but after that, those 15 lbs may go in a different direction since the student may be on the starvation plan. Having good friends in your college town can make holidays like Thanksgiving easier. It's not always cost effective to go home for Thanksgiving if you are attending college out of state. 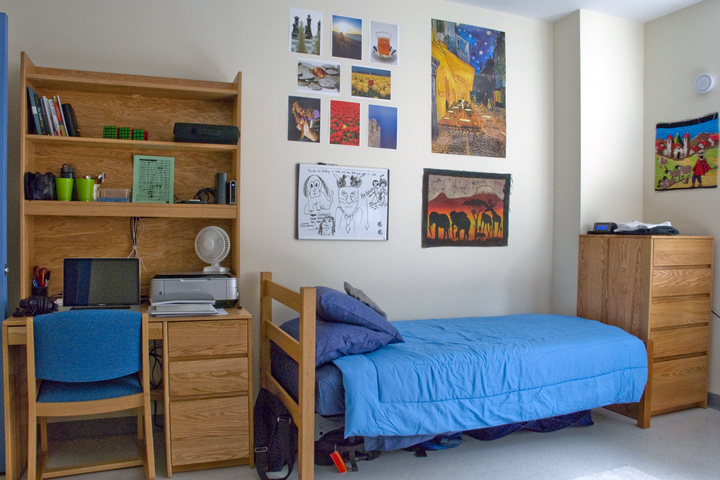 Living off campus is totally different than living on campus; you will need furniture which is another expense or you will pay more for a furnished apartment. Everyone needs a laptop; a Mac is worth it for the long haul but not a necessity. On the other hand, having your own personal printer is not a necessity. You don't need a full set of dishes; you can get cutlery from the cafeteria or just make sure you have a plate, a cup, a knife fork and spoon; and this can all be plastic. You have to figure out your storage options at the end of each school year. This can take the form of a friends garage, a friend's place or paying for storage. I still have stuff in my garage from college students who have stored stuff with me. Everyone is trying to get you to spend money; absolutely nothing is free. We've argued, laughed and cried every year figuring out the logistics of moving children in to dorms and we have survived. We have more than survived - we have come out on the other side and are able to see our grown children growing in to the purpose God has in store for them. It was exhaustingly exhilirating. If we can do it, you most surely can. Ultimately a dorm room is a space for your children to grow. What was it like moving your children in to dorms? Did the reality live up to your expectations? Welp, my oldest is on her own and married now, and my 2nd oldest goes to college yet still lives at home (for now). I suspect the dorm room thing to be a bittersweet situation when he starts his junior year in 2016.